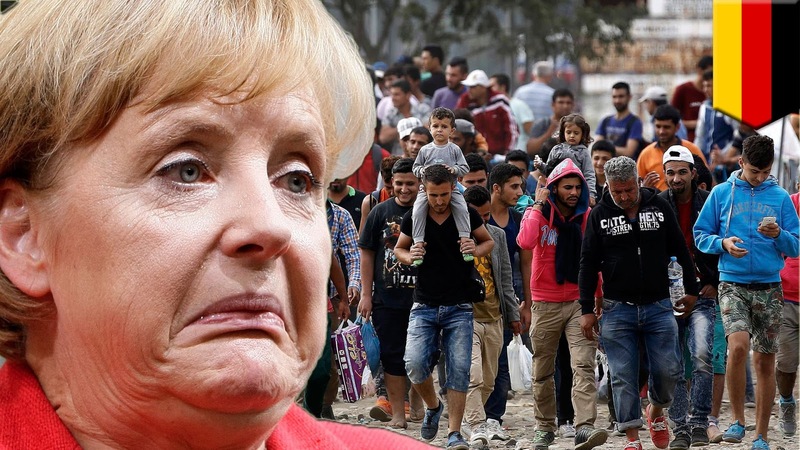 Bloggers4UKIP: Top German companies employ just 54 of Germany's 1.1m "refugees"
Top German companies employ just 54 of Germany's 1.1m "refugees"
The wheels are falling off Angela Merkel's immigrant wagon after research has shown that just 54 "refugees" have been given permanent jobs with Germany's big employers and 50 of those are with Deutsche Post. Germany newspaper Frankfurter Allgemeine Zeitung contacted the top 30 listed companies in Germany to find out how many so-called refugees they were employing and the reason why they didn't employ more, or any at all. The reasons they gave were that the illegal immigrants were just too poorly qualified - even those who were doctors and engineers at home - by German standards. To encourage German employers to give jobs to illegal immigrants the German government is proposing to allow companies to pay them less than minimum wage and has just introduced laws that will provide 100,000 taxpayer-subsidised jobs. Immigration has put an enormous toll on German society. Over a million so-called refugees illegally travelled across Europe to Germany last year and a quarter of a million have travelled there this year so far. They don't speak German and are largely unemployable. There are too many people to integrate and large areas of the country are being ghettoised as a result.